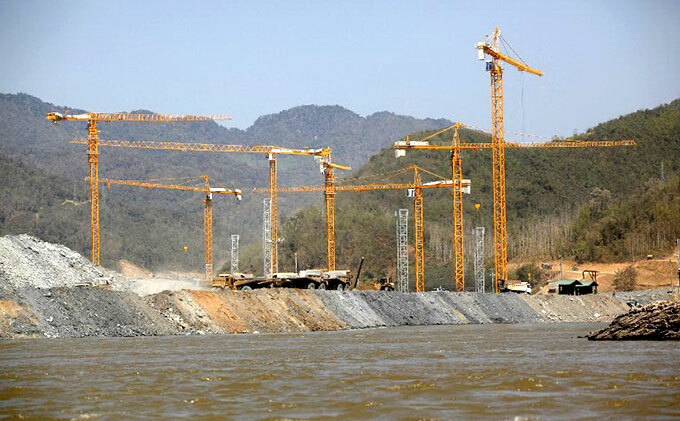 If the Sahong Don dam is built, it will seriously affect Vietnam’s agricultural production, according to the Vietnam Rivers Network (VRN) said. The dam will cause reduction of alluvium, making soil exhausted and thereby decreasing productivity of rice and other crops, VRN said. At the same time, such impacts will increase expenses on cultivation, fertilizer, and epidemic control, according to the organization. Ms. Nguy Thi Khanh, a member of the VRN, commented that the largest benefits from the Sahong Don dam project would belong to the project’s investor, not Lao people. Meanwhile, the dam will cause great and irreparable losses to Vietnam’s Mekong Delta region, Khanh said. Nguyen Huu Thien, former chief consultant on environmental impact assessment for dams on the Mekong mainstream, said that the Don Sahong will have adverse impact on aquatic resources of the entire basin, as the dam is located on the Laos-Cambodia border, imperceptibly creating a “bottleneck” that blocks annual migratory fish flows. Meanwhile, the annual freshwater fish output of the Mekong River amounts to 2.1 million tons, accounting for 20 percent of the world’s total freshwater fish production, Thien said. Ngo Thuan Khiet, an expert at the Vietnam Union of Science and Technology Associations, warned that the Mekong Delta is suffering impacts from the sea level rise, so if the dam blocks the river current in dried seasons, this will cause a saltwater intrusion to farming land. The area of land in the Mekong Delta has been estimated to decrease by 5 percent due to saltwater intrusion, so the issue here is to persuade Laos to take measures to minimize such damage, Khiet said. Dr. Dao Trong Tu, director of the Center for Sustainable Development of Water Resources and Adaptation to Climate Change, said that in dried seasons, up to 50 percent of the volume of water of the river flows through the dam, as stated in the project’s environmental impact assessment. Accordingly, the dam can keep hundreds of millions of cubic meters of water per day, causing exhaustion to the river’s downstream area, Dr. Tu said. Currently, in addition to the Don Sahong dam, whose plan of construction has been announced, and the Xayaburi dam, which is under construction, seven other dams are also planned to be built on the river in the future, Dr. Tu said. Meanwhile, China has completed the building of six dams on the river, and Cambodia is planning to build two dams on it.